Whilst Pop-up exhibitions have paused for the time being in 2018 I curated the exhibition Seeing Red for The Lock-Up Newcastle. I also continue to work in a freelance capacity writing education resources, most recently for the Coffs Harbour Regional Art Gallery STILL Prize which is a National Still Life Award open again this year for entries. 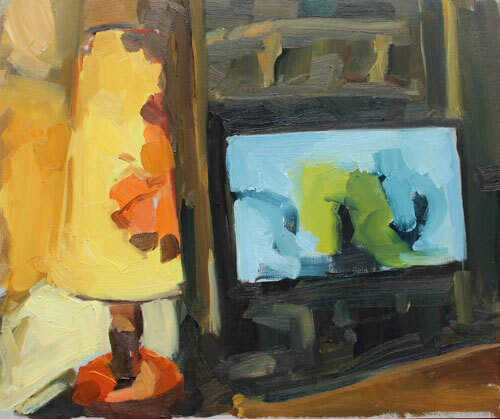 This particular resource features a general slide show about the historical tradition of Still Life through to contemporary expressions of the genre. 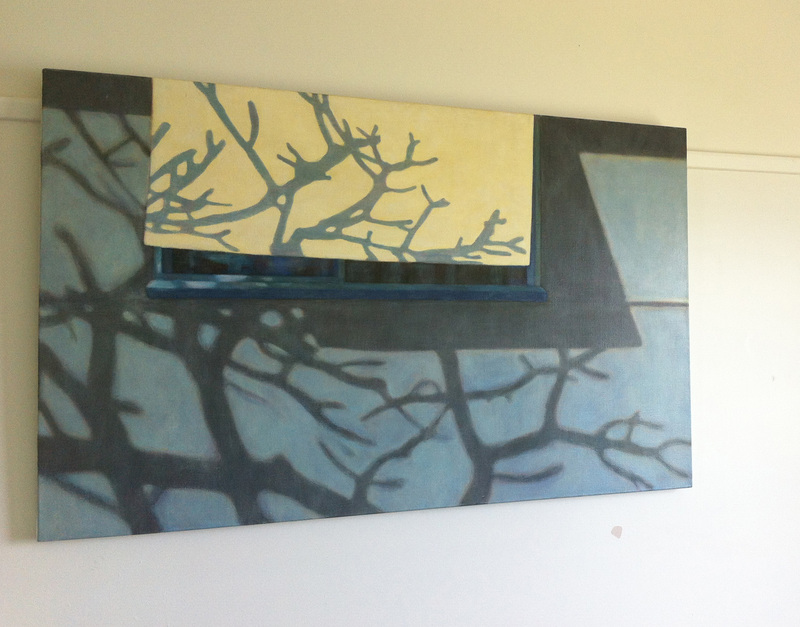 Salon 2014 features a powerhouse of work by leading contemporary artists most of whom work and practice in Newcastle. Nicola Hensel takes drawing to new heights, her work captures both drama and fleeting beauty, she has been exhibited in the Dobell prize for drawing and is also represented in major public collections. 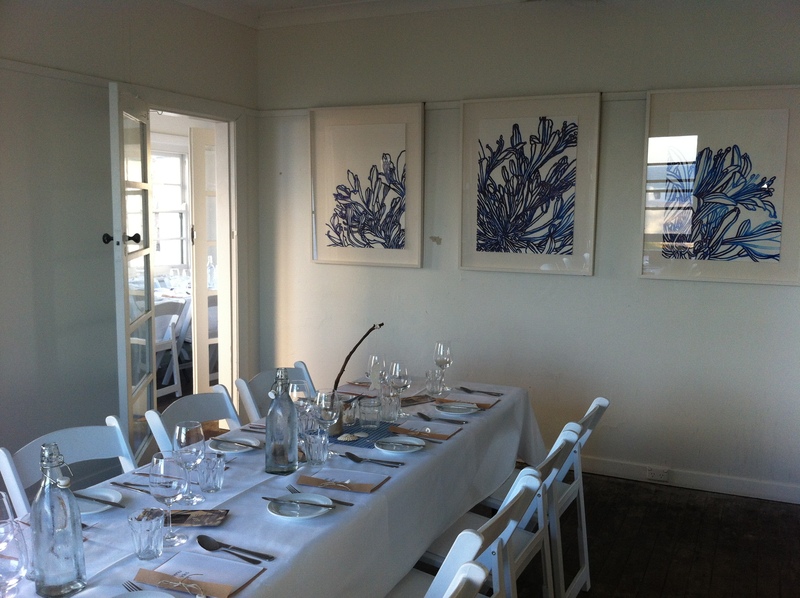 Vera Zulumovski’s prints are like no other, her works are highly articulate and accomplished prints. She has exhibited both in Australia and internationally. 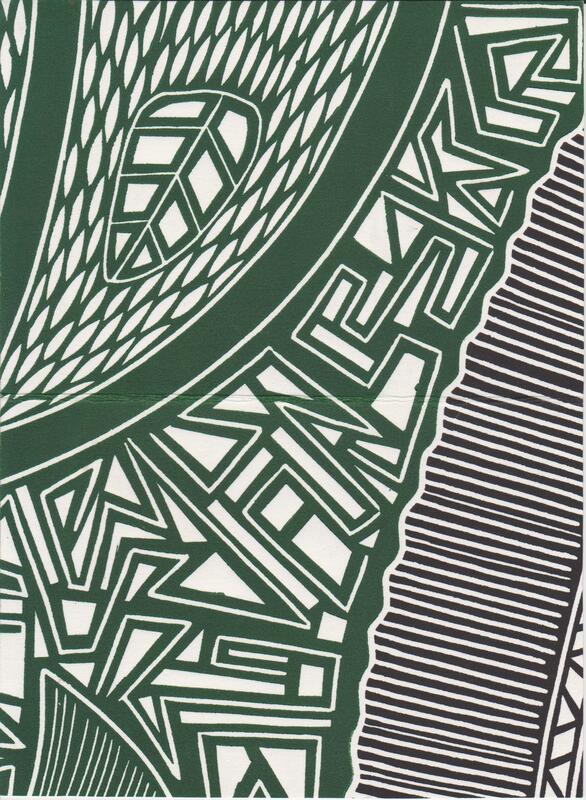 Lino print detail by Vera Zulumovski from a work entitled Entwined. Rachel Milne has recently arrived in Newcastle from the UK and is already making a splash, in 2011 she was elected an Artist Member of the Royal West of England Academy and most recently won the Singleton Portrait prize. David Waller is now based in Wellington NZ he produces engaging drawings which delight and inspire and has illustrated children’s books such as Farmer Fred’s Cow by Margaret Wild. 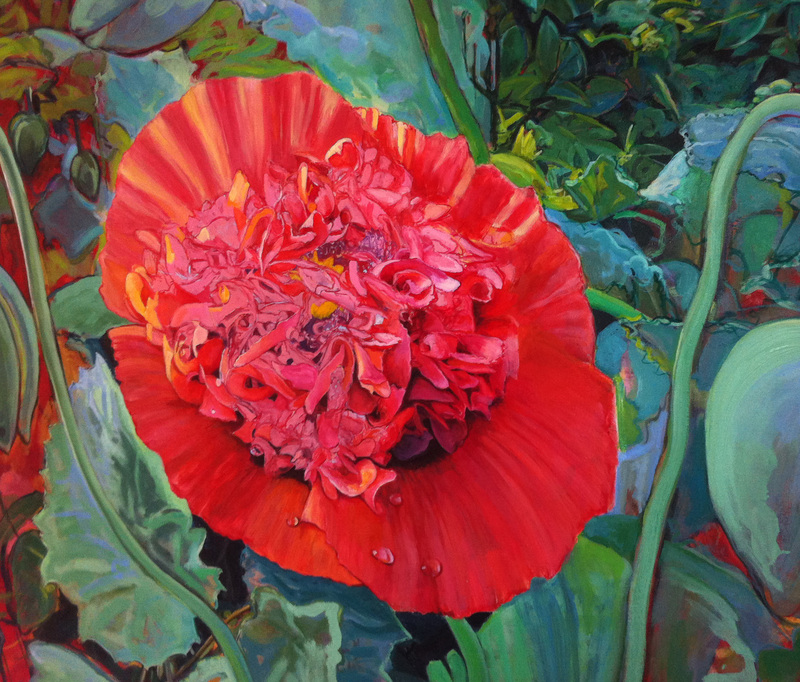 Robert Cleworth is also represented in major collections such as the National Gallery in Canberra and has been exhibiting with Legge Gallery in Sydney for many years. Salon 2014 represents an exciting opportunity to see the work of a group of inspired artists working across painting, printmaking and sculpture. It runs for two weeks 15-25 Jan 2014 as part of the Madeleine Kelman 11 pop up gallery made possible by Renew Newcastle in the Emporium formerly known as the old DJs building. 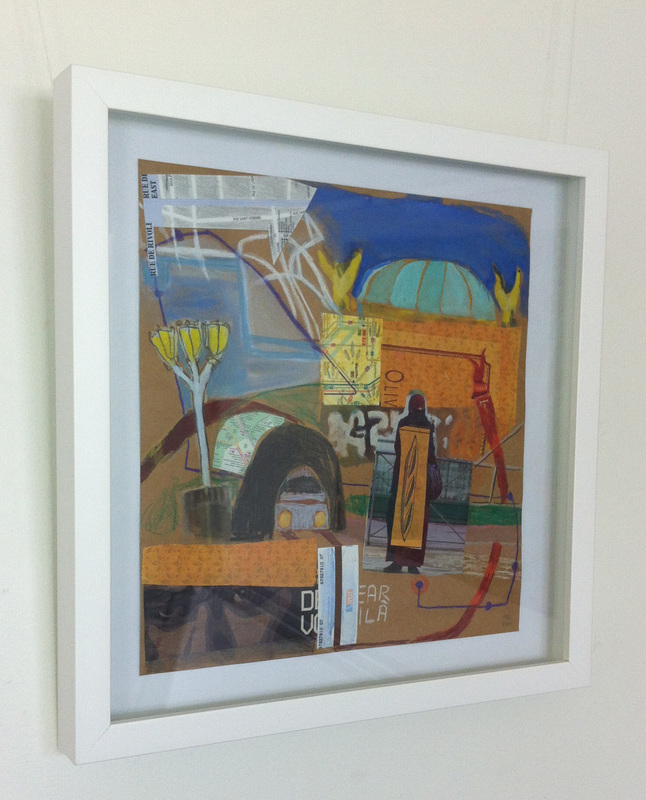 Madeleine Kelman 11 presents Salon 2014 opening 15 -25 Jan -a pop up show and store. Here is the line up of artists with weblinks to further information about the artists. This will be the first show for the elusive Fractal Jones. The Emporium Shop 3 & 4, 185 Hunter St Mall, Newcastle – Novocastrians will know this location as the old DJs building. 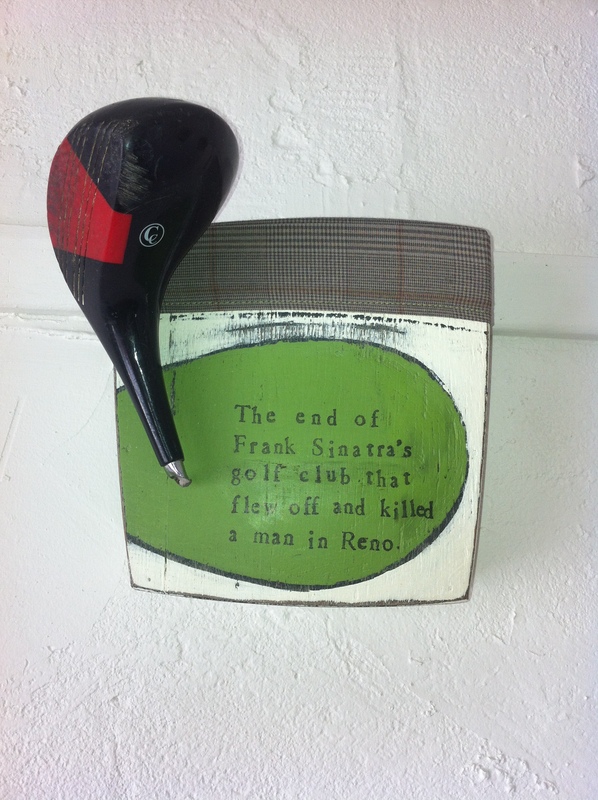 John Turier ‘The end of Frank Sinatra’s golf club that flew off & killed a man in Reno’ Assemblage. 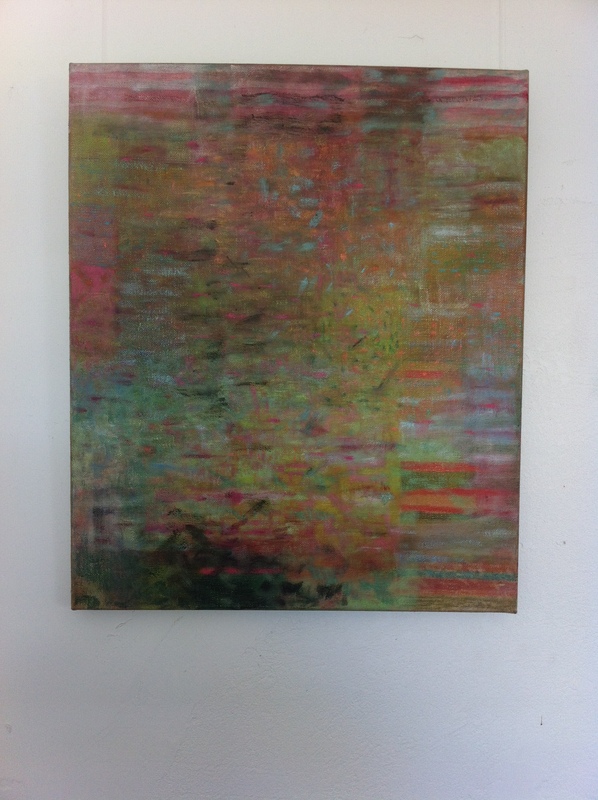 John Turier is represented by King Street Gallery on William, Sydney NSW. The exhibition Seven featured works by artists based in Newcastle : John Turier, Mazie Turner, Michelle Brodie, Gordon Snow, Jane Lander, Claire Martin, & Nicola Hensel. 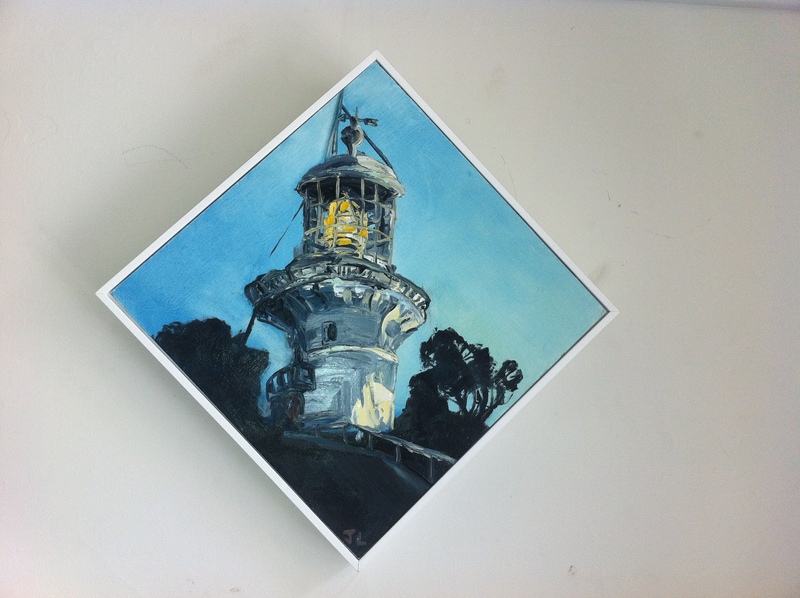 Held at Nobby’s Lighthouse as part of an Underground Epicureans feast all works remain live and available for purchase this December 2013. A room view from the pop up exhibition at the Lighthouse in Newcastle. The show was part of an ‘underground epicurean’ dining experience. This shows work by Nicola Hensel.